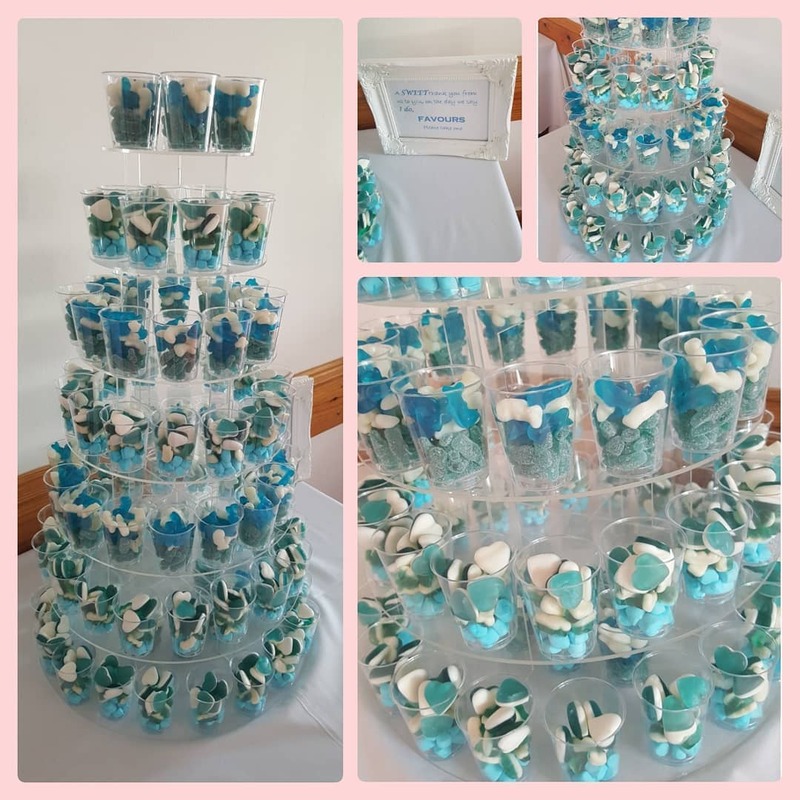 Our Brand NEW Sweet Tower can hold upto 150 shot glasses on upto 7 tiers.Its a great alternative to a sweet cart as its more compact but can hold as many sweets, its great for smaller venues. 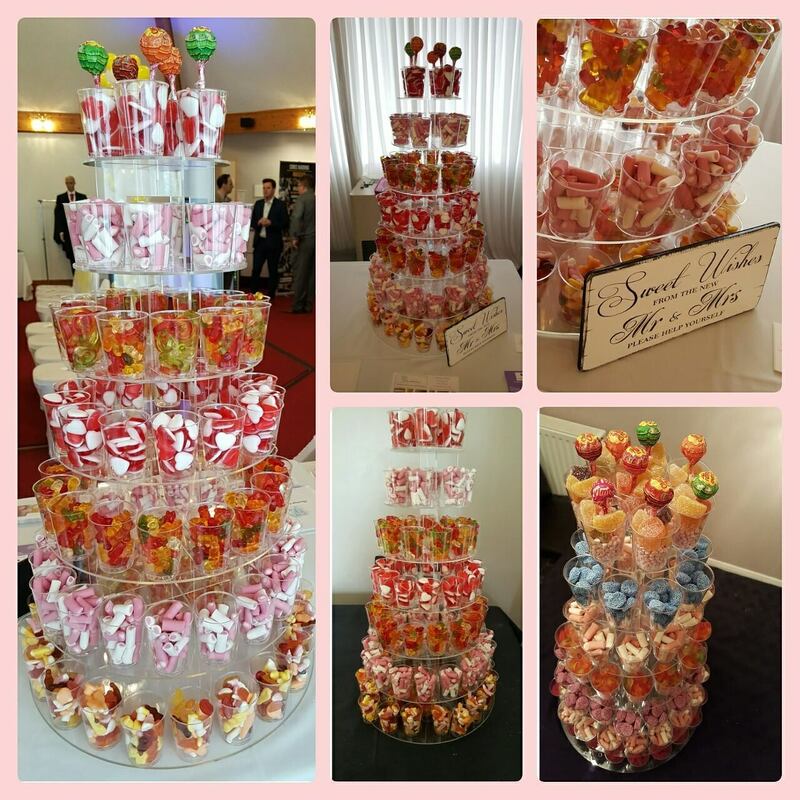 The tower can be decorated to suit any occasion or sweets can be colour co-ordinated to your scheme. We have put together some packages but can tailor make a package to suit any occasion.